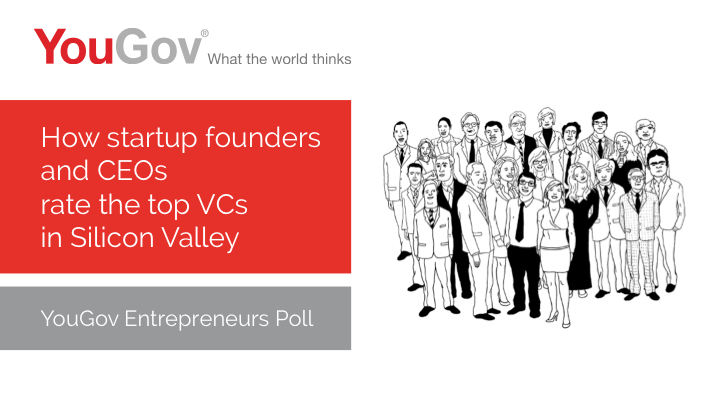 As a tech startup ourselves, we loved the You Gov poll "How startup founders and CEOs rate the top VCs in Silicon Valley" that was released earlier this week. 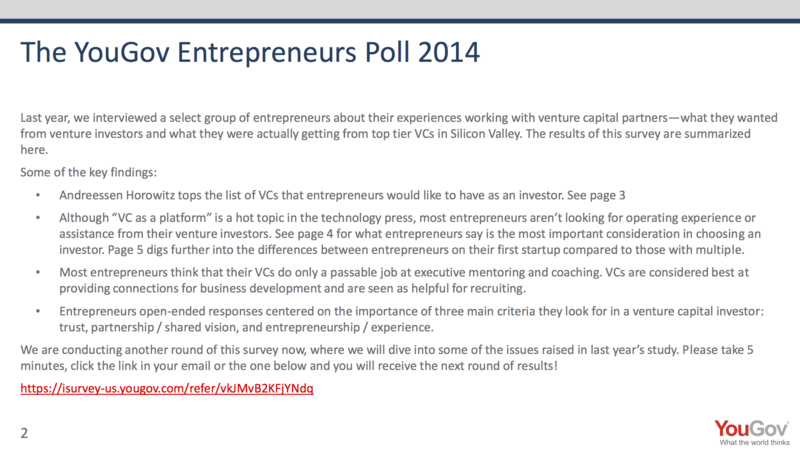 But we couldn't resist the temptation to give it a quick re-design... it really needed it! 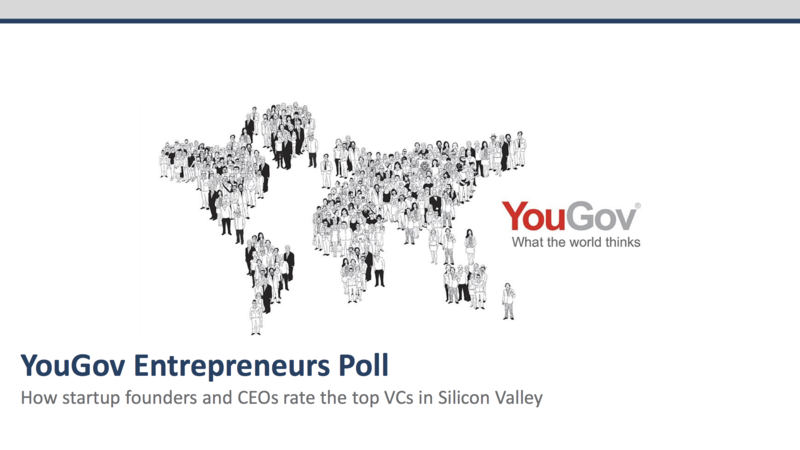 The YouGov report is a great read. 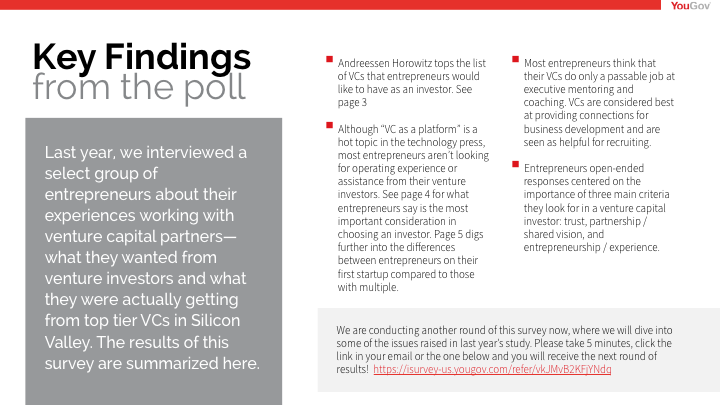 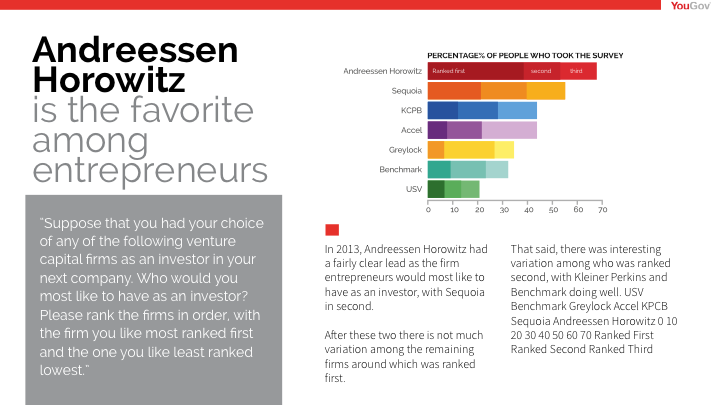 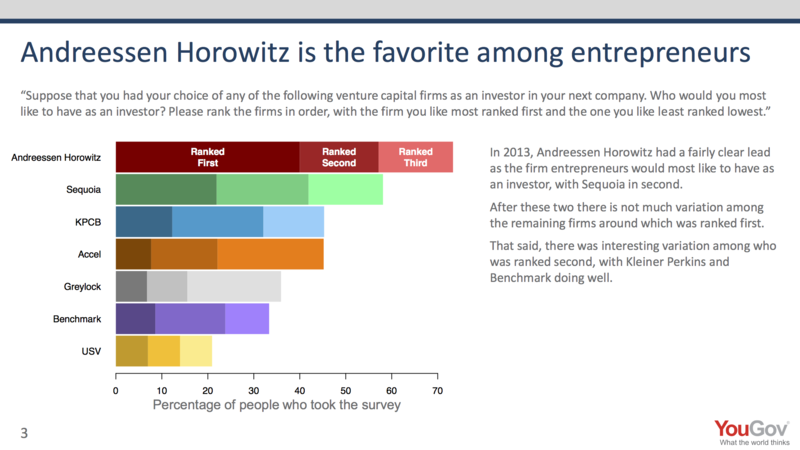 Search online for "How startup founders and CEOs rate the top VCs in Silicon Valley" to find it.